FORTUNE -- The bellicose wing of the Republican Party would have most Americans believe that the repeal of the healthcare reform bill was basically a done deal. But most of the fighting in this tireless debate seems to be reserved for the TV cameras, as it's all but certain that the Republicans simply won't have enough votes to overturn the bill. And while Congress continues to play out a scene to score political points, the massive healthcare industry appears to be moving on, gearing up for the long and tedious implementation of the new rules. The large insurance segment of this industry has moved particularly fast, recalling their lobbyists and enlisting consultants and bankers. Consolidation seems to be the order of the day, with smaller regional players looking to pair up with the larger national players. In the end, the consolidation and incentives from the new healthcare rules could ironically lead to a stronger and more profitable health insurance industry. When President Obama launched his push to overhaul healthcare in the United States, the large and powerful health insurance groups fought back hard. The industry was successful in wiping away a provision in the bill that would have set up a government-controlled competitor. But they were also forced to swallow some tough pills, like allowing coverage for pre-existing conditions and agreeing to high payout thresholds on the premiums collected from their customers. Now, ten months and many objections later, the insurance industry has essentially thrown in the towel. "I think they are resigned to the fact that this is going to happen," a person close to the health insurance lobby told Fortune. "It is now more of a discussion around, 'how do we help in the implementation phase and make sure the rules get written more effectively,' as opposed to, 'let's work against it and derail it.'" With the uncertainty of its future lifted, the insurance industry can finally sit down and plan for the future, something it couldn't do for the last three years. Its primary goal now is to win victories in the rule-making process. There are still obstacles -- the industry's favorite part of the bill, the provision that forces all Americans to buy health insurance, has been challenged by a Virginia court. But the general consensus seems to be that the Supreme Court will side with the administration, allowing the government to force that key issue. Overall, the healthcare world looks eerily similar to where it was before the changes. "The fundamental delivery of health care services as supplied by the health insurance industry remains intact," Joshua Raskin, the managed care analyst at Barclays Capital, wrote in a recent report. "We believe that the future will be more reflective of the history and that the world has changed less than it has stayed the same." There are, of course, some changes that will hit the bottom line of the health insurance industry. In general, 2011 is expected to be a tough year with earnings at large commercial providers down 12.6% from 2010, with the vast majority of that change related to the reforms. Overall profit margins in the industry are expected to decline from 6.4% in 2010 to 5.6% in 2011, the second-lowest margins since 2001. Barclays stresses that these are "very" conservative loss estimates and that the margins have yet to see any notable decline as of yet. Nevertheless, the industry is taking the threat of a major hit in profits very seriously. Health insurance companies will most likely only be able to raise premiums around 8.8% this year on average, Barclays estimates, not enough to cover the drop off in profits. That means that they need to start cutting and saving to secure their profit margins. After the cuts, some firms might be forced to merge with their competitors to keep margins up. To be sure, consolidation in the healthcare industry is nothing new. The number of national HMOs has declined by 30% from 652 in 1997 to 442 in 2006, according to an AIS Interstudy report. Since that time, Barclays estimates that another 15% to 18% of firms have disappeared. There has been close to $90 billion worth of health insurance acquisitions since 1996, with about half of those from 2004 and 2005. Since then, few deals in this space have been done amid all the uncertainty in the industry. The consolidation follows the rising cost of care. 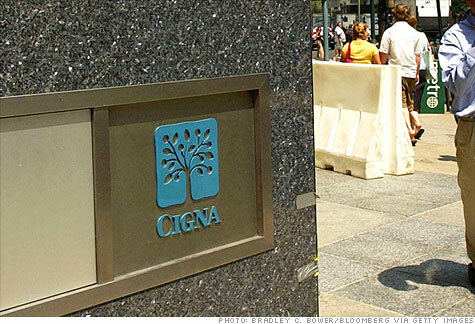 The larger the insurance group, the stronger its bargaining power with doctors and hospitals. Meanwhile, people have gravitated more to the larger national plans over the years, like Aetna (AET, Fortune 500), CIGNA (CI, Fortune 500), UnitedHealth (UNH, Fortune 500) and WellPoint (WLP, Fortune 500), and away from the smaller regional plans. From 2003 to the third quarter of 2010, the four big national plans added some 17.8 million members, while the three major regional plans -- Coventry (CVH, Fortune 500), Health Net (HNT, Fortune 500) and Humana (HUM, Fortune 500) -- lost 734,000 members. In order to compete, these regional plans -- along with the smattering of smaller plans, which make up around 20% of the health insurance market -- will probably find themselves needing to partner up with the big guys sometime in the future. The profit margins for the regionals and smaller health insurance groups have been weak for a while, so the new rules could easily push those margins into the red. While the regional firms suffer, the larger firms will be in a better position to offer coverage to the millions of relatively healthy Americans that will now be required to buy health insurance. Industry profits in 2019 could eventually be 125% above current year levels, equating to an industry earnings growth rate of 9.6% per year, Barclays estimates. The industry was expected to see anemic growth if it weren't for this influx of new blood into the system, so the new rules may not be so bad for the industry in the long run after all. The earnings rate could be much higher if there is further consolidation in the sector as the insurance firms get better at juggling their costs while adhering to the rules. In the end the health insurance industry could devolve into just a handful of players, leaving consumers with little choice. Unemployed to the point of disabled?